- Lavender candle, scented with orange blossoms, myrrh, rose, juniper, sassafras, and dragon's blood. "Harmony now radiates through my mind, body and emotions. The magical flow now consumes my entire being. I am calm, relaxed and at peace." 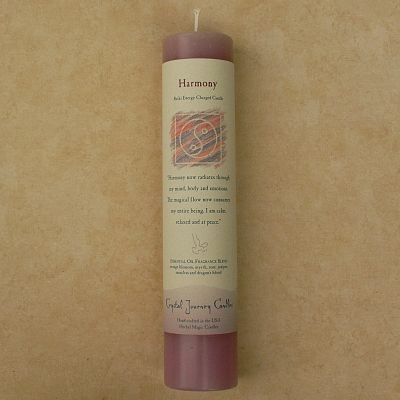 Do you have any other questions about our Reiki-Charged Harmony Pillar Candle?